St. Alphonsus offers a Christ-centered environment that teaches Gospel values and instills within its students the realization that each student is unique in his or her own way. 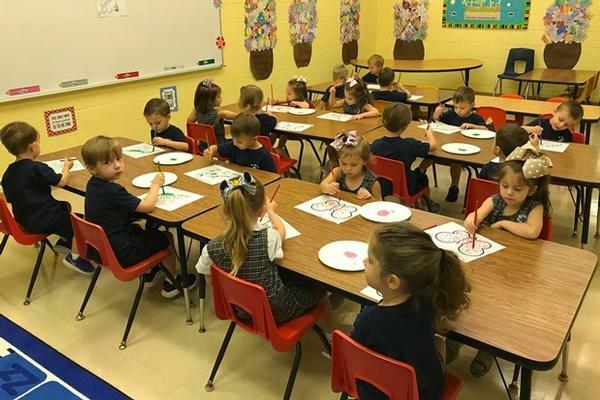 The mission of our school is to facilitate the development of each child spiritually, academically, physically, and culturally in an environment of academic excellence. We chose the kaleidoscope as a symbol to reflect this individual uniqueness and possibility for growth and change. St. Alphonsus is much more than a school. It is a community of parents, teachers, grandparents, staff, parishioners and alumni working together for the good of our children. We are blessed with involved faculty and priests who work together for the benefit of our students.